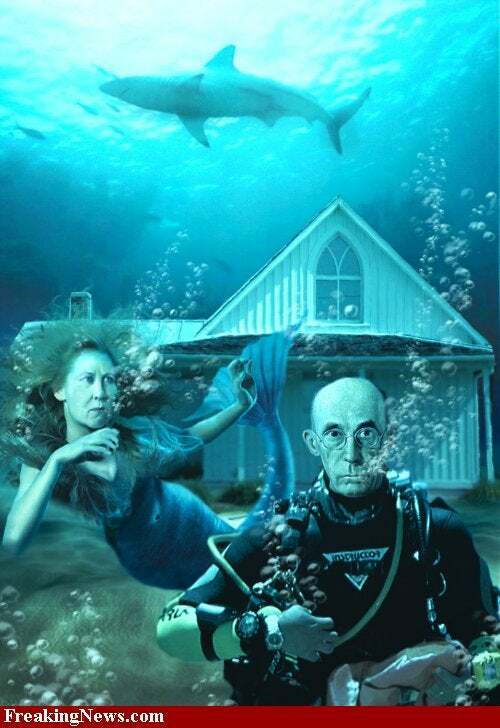 As a second generation loan officer, who has founded his business on building stable communities one homeowner at a time, I have found it philosophically troubling to advise clients on the pros and cons of stopping payment on a mortgage for an underwater property. For some borrowers, foreclosure cannot be avoided. A job loss, unexpected medical bills, divorce or other unfortunate twists of fate force the would-be responsible borrower into an intractable financial situation that results in the loss of the family home. These are the sad, yet all too frequent true tales of our decade. In the past couple of years however, another increasing common storyline has emerged among mortgage holders; one that has garnered wrath rather than sympathy from neighbors and communities – that of the strategic defaulter. For those unfamiliar with the term, (perhaps you have been residing on the Mir Space Station), a strategic defaulter is a mortgage holder who is financially capable of making the monthly mortgage payments but stops paying and allows the property to foreclose because they believe the property is no longer a sound investment. There are both negative and positive consequences to this decision. For the neighborhood, the consequences are almost always negative. A foreclosed property can sit vacant for months to years and may fall into disrepair. It can become not only an eyesore but also a security and safety hazard for the neighborhood. Even if the property is maintained by the mortgage holder, foreclosed properties are typically sold at deeply discounted prices which in turn drag down the resale values of all comparable properties in the area. There are, of course, also negative consequences for the defaulter. A homeowner that undergoes foreclosure will be unable to secure a conventional loan for 7 years. It’s less time to become eligible to obtain an FHA or VA loan after foreclosure, but it still takes several years. Aside from being shut out of the housing market, the foreclosed borrower’s credit will take a significant hit – credit cards may be cancelled or limits significantly reduced and the ability to obtain other types of credit (student loans, car loans) will be similarly negatively affected. Despite these severe disadvantages a small percent of loan holders will choose foreclosure even though they are capable of making their current payment. Why? Real estate and mortgage analysts typically list negative equity as the main driver of strategic defaults, and although this is an important component, in my professional experience it is rare that this alone turns the responsible homeowner into a strategic defaulter. The perfect storm of factors that switch the reliable mortgage payer into the strategic defaulter are: a) the inability to refinance an adjustable rate mortgage to a fixed rate due to lack of equity; b) the inability to meet criteria to qualify for government sponsored or bank loan modification programs and; c) holding first or first and second adjustable or option ARM loans that will adjust to much higher payments once interest rates increase. Rather than wait for the increasing mortgage payments to completely deplete the borrowers financial resources, the mortgage holder walks away from the property so they can begin the painstaking process of regaining credit worthiness. An example, based on an actual troubled borrower who came to me for advice, may help illustrate this Cornelian dilemma. This borrower originated her loan through another broker. The case is a borrower that held a five year interest only loan that readjusted after the five year period to a rate of 6.625% at a time when new loan originations for 30 year fixed products were at 5%. The home was purchased in 2005 and by 2009 was estimated to be worth approximately 68% of the purchase price, even though several costly upgrades had been made. The borrower’s loan was not held by Freddie or Fannie and therefore was ineligible for the government sponsored loan modification program. The borrower tried for several months to obtain a loan modification through the mortgage holder, JPMorgan Chase & Co. (NYSE: JMP) but was unsuccessful. Although the borrower was able to make her current payments she became increasingly concerned that once interest rates rose she would exhaust all her savings and retirement trying to save a property that in the end would be lost to the bank. Even a 3% percent rise in short term rates would increase the borrower’s payment to at least twice the monthly rent of a comparable property in the area. Fortunately for this homeowner an unexpected windfall allowed her to pay down her mortgage to a level that allowed for her to refinance to a 5%, 30 year fixed loan through Bank of America (NYSE: BAC). Few homeowners in her situation will be so fortunate. Her home is still significantly underwater (it has lost an additional 10%% in value since the refinance) but because she was able to refinance to a fixed rate she no longer fears the future and has decided against strategic default. The borrowers who are coming to me with questions regarding the consequences of strategic default typically share many of the same characteristics of the example above. The typical scenario for the strategic defaulter is a homeowner who is well under water on their mortgage and doesn’t qualify for any refinance program. The homeowner can make the payments now because short term rates are low and therefore their adjustable first mortgage and home equity line rates are low. Once short term rates rise however, that combined payment will jump. If the home equity line also adjusts to a principal and interest payment then the final payment will be even higher. I know of some borrowers facing these exact circumstances; and a small increase in the current interest rates will drive their debt to income ration to well over 55%. With increasing healthcare, tuition and food costs, the financial horizon for these borrowers looks grim unless they are able to unload the economic albatross that their principal residence has become. In a previous article I proposed a new loan program to help borrowers like these refinance. (See here) I continue to believe that a new loan program such as this would provide a viable alternate to strategic default for many borrowers. The political climate against the expansion of the role of Freddie and Fannie is so strong however that I see no chance that such a program will gain traction. With this article I hope to convey that not all strategic walk away home owners do so just because their home is down 40%. These borrowers are looking at the long term consequences of paying 55-65% and even 75% of their income just on their housing. For these borrowers continuing to pay the mortgage just isn’t a valid, long term solution. Since there are no loans designed to refinance these borrowers, the tough decision to walk away awaits them. These borrowers tell me that they never walk away from a debt and that they believe in the principal of paying what they owe. It is clear from my interactions with these borrowers that the whole process of considering a strategic default is taking a heavy emotional toll. Nevertheless, I predict that in the 12-18 months following the first Federal Reserve rate hike there will be a significant increase in strategic defaults. 1. The strategic defaulter is not paying the property tax any more than they are paying the mortgage. 2. Most of these borrowers put nothing down so regardless of the loan balance they can walk away only needing to find a new home, which as career renters prior to the boom they are fully qualified to do. 3. Most of the borrowers have also had one or more refis pulling out cash from the home. Do they need to pay this back or is this tax free income on a no down house paid by the rest of us to the banks they stiffed? 4. Foreclosures add jobs. Nothing happens in a loan mod other than the payments fo down for the homeowner, a better result for the homeowner is the pricipal reduction. But a foreclosure brings a new owner, they paint and carpet, fix up the exterior hire plumbers and carpeters, go to Home Depot and buy stuff, Realtors eat, title and escrow companies eat, termite, retofitters, home inspectors.. There are a lot of jobs created by a foreclosur and I would argue we need jobs more than we need to keep folks in a home they put nothing into or propping up banks that just reported billions in profit. Sure, it seems brutal for the homeowner but there is a name for it, it is called capitalism. I agree with you 100% that it’s capitalism. However, I would disagree with you on the second issue. Not every strategic walkaway is in that category. Some people I know who are walking away from their home are doing so for the same reason a commercial banks walk away from a bad commercial property. If is is no longer economically sensible to keep the property , then they walk even though they continue to earn the income to support the payments. This is a different situation that what the sort discussed in the article. I see some people who put 20% down , with incomes over 150,000K who have watched their home drop 40-50% in value. These folks no longer believe there is a value to paying $3,000 mortgage on a home that would rent out for $1,500. So, this is not the issue that was I was speaking about on the article. However, If you take a nation wide look at strategic walk away borrowers their income levels are higher than normal borrowers . Also, they are more educated as well. In reality, there isn’t much that can be done with the housing problems. Housing just needs time, time and more time to sort itself out.